Solar Charger lets you charge your cell phone using solar energy. It also enables USB cable or AC. 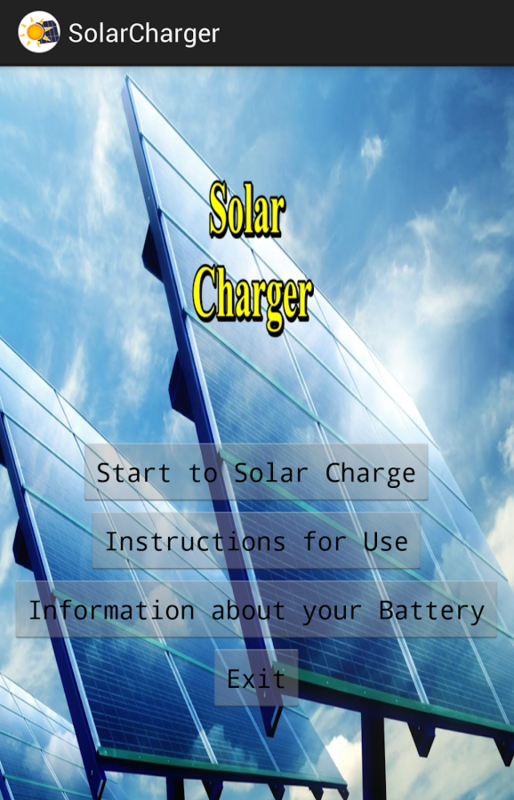 -Solar charging, or USB and AC. -Ability to view the status of the battery in real time. -Able to provide important information on the battery (temperature, voltage, health …). -It also shows a list of installed app on the phone ordered by seniority. -With notification bar shortcut to the app. The solar charging part is a joke. Have a good time joking with friends and solar charging. The other functions of the app really work.